I am always on the lookout for new breakfast dishes so it won’t always be the same old, same old fare. Besides, though oatmeal is a staple in our household, the taste can get boring. 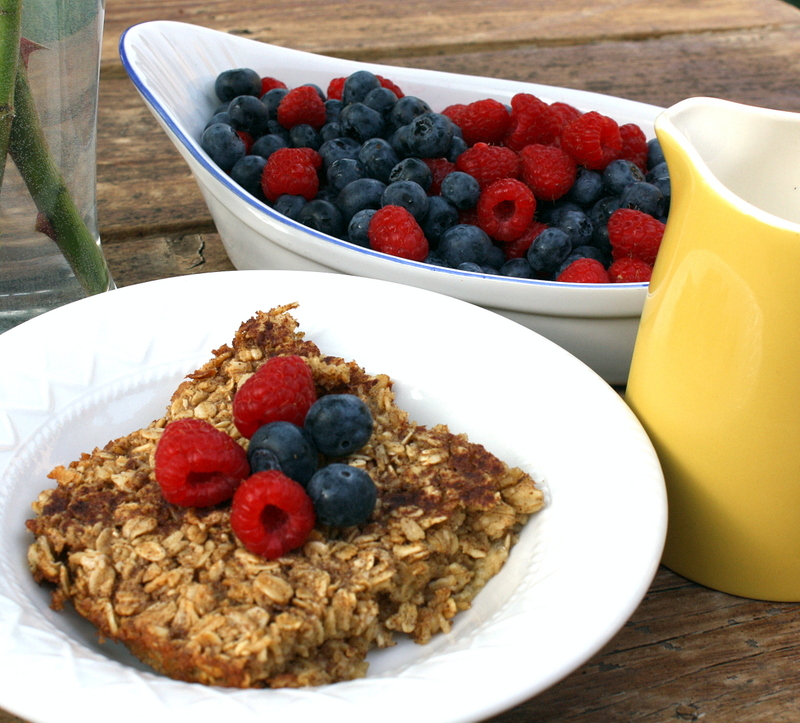 But not anymore, adding cinnamon, nutmeg and cloves to the mix make this baked oatmeal a sure winner and is the current favorite of the two tots! We first tasted this oatmeal at Good Earth, a cafe in Holland, and we have loved it ever since. I thought I’ll try to re-create it and adjust it to our taste. Here it is. Enjoy your breakfast with this very easy and nutritious oatmeal. 1 teaspoon vanilla Milk for pouring. 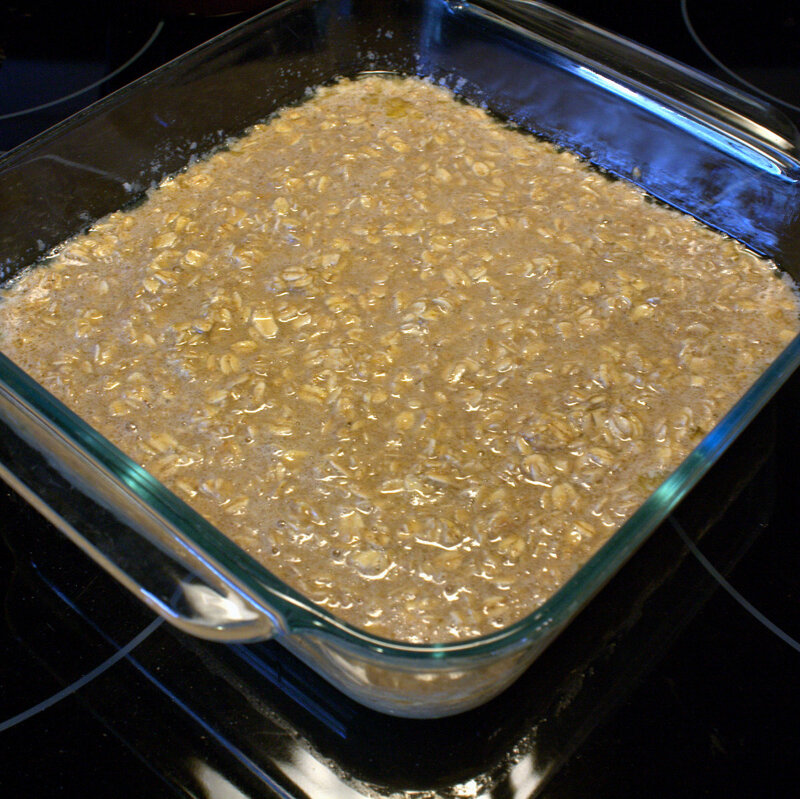 Preheat the oven to 350F / 180 C. Mix all the ingredients and pour into a greased 9-inch square baking dish. Bake for about 30 minutes. Take it out of the oven and then let it settle for about 3 mins (only because my family cannot wait longer than this!). Serve warm with milk and dried fruits, if desired. Raisins are particularly perfect for this! In the summer we enjoy this with fresh berries! That sounds delicious Priya! I can almost imagine the taste of coconut…perhaps I should try that! Thank you so much for visiting! I am making this tonight for breakfast tomorrow!!! Thanks, Kat! I do hope you like it! Thanks for stopping by. I can't wait to try this. Looks great!